Collagens are major structural proteins of tendons, ligaments and other components of musculoskeletal tissues. Rare mutations in many of the genes, which encode for the collagen α-chains, result in serious musculoskeletal disorders, highlighting the importance of this protein family in the normal structure an d function of musculoskeletal tissues. Since these rare mutations cause severe disorders, it has been proposed that a lack of biological redundancy exists within the collagen fibril, and that collagen-encoding genes are therefore ideal candidates for association with less severe exercise-related traits. This review identifies a number of collagen gene variants which are associated with various exercise-related traits. Based on the evidence outlined in this review, we propose that a general genetic continuum exists for collagen genes and their associated traits. At one end of this general continuum model, a single mutation within one or more collagen genes will result in severe Mendelian disorders. At the other end of the continuum, functional variants within these collagen genes collectively contribute to the aetiology of anomalous multifactorial connective tissue traits, which arise as a result of the interaction of genetic and non-genetic factors which modulate physiological responses to environmental stimuli. 1. Abrahams Y., Laguette M.J., Prince S., Collins M. Polymorphisms within the COL5A1 3'-UTR That Alters mRNA Structure and the MIR608 Gene are Associated with Achilles Tendinopathy. Ann.Hum.Genet. 2013; 77(3): 204-214. 2. Banos C.C., Thomas A.H., Kuo C.K. Collagen fibrillogenesis in tendon development: current models and regulation of fibril assembly. Birth Defects Res.C.Embryo.Today. 2008; 84(3): 228-244. 3. Birk D.E. Type V collagen: heterotypic type I/V collagen interactions in the regulation of fibril assembly. Micron. 2001; 32(3): 223-237. 4. Bonaldo P., Braghetta P., Zanetti M., Piccolo S., Volpin D., Bressan G.M.. Collagen VI deficiency induces early onset myopathy in the mouse: an animal model for Bethlem myopathy. Hum.Mol.Genet. 1998; 7(13): 2135-2140. 6. Boudko S.P., Zientek K.D., Vance J., Hacker J.L., Engel J., Bachinger H.P. The NC2 domain of collagen IX provides chain selection and heterotrimerization. J.Biol.Chem. 2010; 285(31): 23721-23731. 7. Brown J.C., Miller C.J., Posthumus M., Schwellnus M.P., Collins M. The COL5A1 Gene, Ultra-Marathon Running Performance, and Range of Motion. International Journal of Sports Physiology and Performance. 2011a; 6(4): 485-496. 8. Brown J.C., Miller C.J., Schwellnus M.P., Collins M. Range of motion measurements diverge with increasing age for COL5A1 genotypes. Scandinavian Journal of Medicine and Science in Sports. 2011b;21(6):e266-e272. 10. Collins M., Mokone G.G., September A.V., Van der Merwe L., Schwellnus M.P. The COL5A1 genotype is associated with range of motion measurements. Scandinavian Journal of Medicine and Science in Sports. 2009; 19(6): 803-810. 11. Collins M. and Posthumus M. Type V collagen genotype and exercise-related phenotype relationships: a novel hypothesis. Exercise and Sport Sciences Reviews. 2011; 39(4): 191-198. 12. Collins M., Posthumus M., Schwellnus M.P. The COL1A1 gene and acute soft tissue ruptures. Br.J.Sports Med. 2010; 44(14): 1063-1064. 13. Collins M. and Raleigh S.M. Genetic risk factors for musculoskeletal soft tissue injuries. Med.Sport Sci. 2009; 54 136-149. 14. Craib M.W., Mitchell V.A., Fields K.B., Cooper T.R., Hopewell R., Morgan D.W. The association between flexibility and running economy in sub-elite male distance runners. Medicine and Science in Sports and Exercise. 1996; 28(6): 737-743. 15. Eriksen H.A., Pajala A., Leppilahti J., Risteli J. Increased content of type III collagen at the rupture site of human Achilles tendon. J.Orthop.Res. 2002; 20(6): 1352-1357. 17. Gelse K., Poschl E., Aigner T. Collagens--structure, function, and biosynthesis. Adv.Drug Deliv.Rev. 2003; 55(12): 1531-1546. 18. Grahame R. Joint hypermobility syndrome pain. Curr.Pain Headache Rep. 2009; 13(6): 427-433. 19. Hakim A.J., Cherkas L.F., Grahame R., Spector T.D., MacGregor A.J.. The genetic epidemiology of joint hypermobility: a population study of female twins. Arthritis Rheum. 2004; 50(8): 2640-2644. 22. Hoffmann A. and Gross G. Tendon and ligament engineering in the adult organism: mesenchymal stem cells and gene-therapeutic approaches. Int.Orthop. 2007; 31(6): 791-797. 23. Izu Y., Ansorge H.L., Zhang G., Soslowsky L.J., Bonaldo P., Chu M.L., Birk D.E. Dysfunctional tendon collagen fibrillogenesis in collagen VI null mice. Matrix Biology. 2010; 30(1): 53-61. 24. Jin H., Evangelou E., Ioannidis J.P., Ralston S.H.. Polymorphisms in the 5' flank of COL1A1 gene and osteoporosis: meta-analysis of published studies. Osteoporos.Int. 2011; 22(3): 911-921. 25. Jin H., van't Hof R.J., Albagha O.M., Ralston S.H. Promoter and intron 1 polymorphisms of COL1A1 interact to regulate transcription and susceptibility to osteoporosis. Hum.Mol.Genet. 2009; 18(15): 2729-2738. 26. Jones A.M. Running economy is negatively related to sit-and-reach test performance in international-standard distance runners. International Journal of Sports Medicine. 2002; 23(1): 40-43. 27. Kadler K.E., Baldock C., Bella J., Boot-Handford R.P. Collagens at a glance. J.Cell Sci. 2007; 120(Pt 12): 1955-1958. 28. Kannu P., Bateman J.F., Randle S., Cowie S., du S.D., McGrath S., Edwards M., Savarirayan R. Premature arthritis is a distinct type II collagen phenotype. Arthritis Rheum. 2010; 62(5): 1421-1430. 30. Knapik J.J., Bauman C.L., Jones B.H., Harris J.M., Vaughan L. Preseason strength and flexibility imbalances associated with athletic injuries in female collegiate athletes. Am. J. Sports Med. 1991; 19(1): 76-81. 31. Knapik J.J., Jones B.H., Bauman C.L., Harris J.M.. Strength, flexibility and athletic injuries. Sports Med. 1992; 14(5): 277-288. 32. Krivickas L.S. and Feinberg J.H. Lower extremity injuries in college athletes: relation between ligamentous laxity and lower extremity muscle tightness. Arch. Phys. Med. Rehabil. 1996; 77(11): 1139-1143. 33. Kubo K., Yata H., Tsunoda N. Effect of gene polymorphisms on the mechanical properties of human tendon structures. Springer Plus. 2013; 2(1): 343. 34. Laguette M.J., Abrahams Y., Prince S., Collins M. Sequence variants within the 3'-UTR of the COL5A1 gene alters mRNA stability: Implications for musculoskeletal soft tissue injuries. Matrix Biology. 2011; 30(5-6): 338-345. 35. Liu S.H., Yang R.S., al-Shaikh R., Lane J.M. Collagen in tendon, ligament, and bone healing. A current review. Clin.Orthop.Relat Res. 1995; (318): 265-278. 36. Lo I.K., Marchuk L., Hart D.A., Frank C.B. Messenger ribonucleic acid levels in disrupted human anterior cruciate ligaments. Clin.Orthop.Relat Res. 2003; (407): 249-258. 37. Malfait F., Coucke P., Symoens S., Loeys B., Nuytinck L., De P.A.. The molecular basis of classic Ehlers-Danlos syndrome: a comprehensive study of biochemical and molecular findings in 48 unrelated patients. Hum. Mutat. 2005; 25(1): 28-37. 38. Malfait F. and De P.A. Molecular genetics in classic Ehlers-Danlos syndrome. Am. J. Med. Genet. C. Semin. Med. Genet. 2005; 139C(1): 17-23. 39. Malfait F., Wenstrup R.J., De P.A.. Clinical and genetic aspects of Ehlers-Danlos syndrome, classic type. Genet. Med. 2010; 12(10): 597-605. 40. Mann V., Hobson E.E., Li B., Stewart T.L., Grant S.F., Robins S.P., Aspden R.M., Ralston S.H. A COL1A1 Sp1 binding site polymorphism predisposes to osteoporotic fracture by affecting bone density and quality. J. Clin. Invest. 2001; 107(7): 899-907. 41. Mazumder B., Seshadri V., Fox P.L. Translational control by the 3'-UTR: the ends specify the means. Trends Biochem. Sci. 2003; 28(2): 91-98. 42. Minamitani T., Ikuta T., Saito Y., Takebe G., Sato M., Sawa H., Nishimura T., Nakamura F., Takahashi K., Ariga H., Matsumoto K. Modulation of collagen fibrillogenesis by tenascin-X and type VI collagen. Exp. Cell Res. 2004; 298(1): 305-315. 44. Mokone G.G., Schwellnus M.P., Noakes T.D., Collins M. The COL5A1 gene and Achilles tendon pathology. Scand J. Med. Sci. Sports. 2006; 16(1): 19-26. 45. O'Brien M. Structure and metabolism of tendons. Scand.J.Med.Sci.Sports. 1997; 7(2): 55-61. 46. O'Connell K., Posthumus M., Collins M. COL6A1 gene and Ironman triathlon performance. Int. J. Sports Med. 2011; 32(11): 896-901. 47. O'Connell K, Posthumus M, Schwellnus M.P., Collins M. Collagen genes and exercise-associated muscle cramping. Clin. J. Sport Med. 2013; 23(1): 64-69. 48. Online Mendelian Inheritance in Man, OMIM®. McKusick-Nathans Institute of Genetic Medicine, Johns Hopkins University (Baltimore, MD). Accessed: 05/2013. World Wide Web URL: http://www.omim.org/. 49. Pace J.M., Corrado M., Missero C., Byers P.H.. Identification, characterization and expression analysis of a new fibrillar collagen gene, COL27A1. Matrix Biol. 2003; 22(1): 3-14. 50. Pollitt R., McMahon R., Nunn J., Bamford R., Afifi A., Bishop N., Dalton A. Mutation analysis of COL1A1 and COL1A2 in patients diagnosed with osteogenesis imperfecta type I-IV. Hum. Mutat. 2006; 27(7): 716. 51. Posthumus M., Schwellnus M.P., Collins M. The COL5A1 gene: a novel marker of endurance running performance. Medicine and Science in Sports and Exercise. 2011; 43(4): 584-589. 52. Posthumus M., September A.V., Keegan M., O'Cuinneagain D., van der Merwe W., Schwellnus M.P., Collins M. Genetic risk factors for anterior cruciate ligament ruptures: COL1A1 gene variant. Br. J. Sports Med. 2009a; 43(5): 352-356. 53. Posthumus M., September A.V., O'Cuinneagain D., van der Merwe W., Schwellnus M.P., Collins M. The COL5A1 Gene Is Associated With Increased Risk of Anterior Cruciate Ligament Ruptures in Female Participants. Am. J. Sports Med. 2009b; 37(11): 2234-2240. 54. Posthumus M., September A.V., O'Cuinneagain D., van der Merwe W., Schwellnus M.P., Collins M. The association between the COL12A1 gene and anterior cruciate ligament ruptures. Br. J. Sports Med. 2010; 44(16): 1160-1165. 55. Posthumus M., September A.V., Schwellnus M.P., Collins M. Investigation of the Sp1-binding site polymorphism within the COL1A1 gene in participants with Achilles tendon injuries and controls. J. Sci. Med. Sport. 2009c; 12(1): 184-189. 56. Rees S.G., Dent C.M., Caterson B. Metabolism of proteoglycans in tendon. Scand.J. Med. Sci. Sports. 2009; 19(4): 470-478. 57. Ribbans W.J. and Collins M. Pathology of the tendo Achillis: do our genes contribute? Bone Joint J. 2013; 95-B(3): 305-313. 58. Ricard-Blum S. and Ruggiero F. The collagen superfamily: from the extracellular matrix to the cell membrane. Pathologie-Biologie. (Paris). 2005; 53(7): 430-442. 59. Riley G. The pathogenesis of tendinopathy. A molecular perspective. Rheumatology. (Oxford). 2004; 43(2): 131-142. 60. Riley G. Chronic tendon pathology: molecular basis and therapeutic implications. Expert. Rev. Mol. Med. 2005; 7(5): 1-25. 61. Saunders C.J., Van der Merwe L., Posthumus M., Cook J., Handley C.J., Collins M., September A.V. Investigation of variants within the COL27A1 and TNC genes and Achilles tendinopathy in two populations. J. Orthop. Res. 2013; 31(4): 632-637. 62. September A.V., Cook J., Handley C.J., Van der Merwe L., Schwellnus M.P., Collins M. Variants within the COL5A1 gene are associated with achilles tendinopathy in two populations. 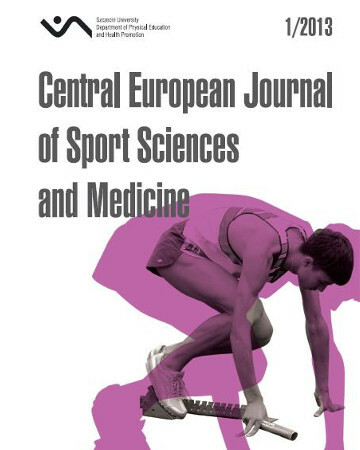 British Journal of Sports Medicine. 2009; 43 357-365. 63. September A.V., Mokone G.G., Schwellnus M.P., Collins M. Genetic risk factors for Achilles tendon injuries. International SportMed Journal. 2006; 7(3): 201-215. 64. September A.V., Posthumus M., Van der Merwe L., Schwellnus M., Noakes T.D., Collins M. The COL12A1 and COL14A1 genes and Achilles tendon injuries. International Journal of Sports Medicine. 2008; 29(3): 257-263. 65. Smith L.T., Schwarze U., Goldstein J., Byers P.H. Mutations in the COL3A1 gene result in the Ehlers-Danlos syndrome type IV and alterations in the size and distribution of the major collagen fibrils of the dermis. J.Invest Dermatol. 1997; 108(3): 241-247. 67. Timpl R. and Brown J.C. Supramolecular assembly of basement membranes. Bioessays. 1996; 18(2): 123-132. 68. Tucker R. and Collins M. What makes champions? A review of the relative contribution of genes and training to sporting success. Br. J. Sports Med. 2012; 46(8): 555-561. 69. van der Rest M. and Garrone R. Collagen family of proteins. FASEB Journal. 1991; 5(13): 2814-2823. 70. Warman M.L., Abbott M., Apte S.S., Hefferon T., McIntosh I., Cohn D.H., Hecht J.T., Olsen B.R., Francomano C.A. A type X collagen mutation causes Schmid metaphyseal chondrodysplasia. Nat. Genet. 1993; 5(1): 79-82. 73. Xie X., Lu J., Kulbokas E.J., Golub T.R., Mootha V., Lindblad-Toh K., Lander E.S., Kellis M. Systematic discovery of regulatory motifs in human promoters and 3' UTRs by comparison of several mammals. Nature. 2005; 434(7031): 338-345. 74. Young B.B., Zhang G., Koch M., Birk D.E. The roles of types XII and XIV collagen in fibrillogenesis and matrix assembly in the developing cornea. J. Cell Biochem. 2002; 87(2): 208-220.